Wonderful shots, Pat. This fellow is very expressive isn't he? Rattlesnake grass looks quite interesting. Can you hear it rattle in the breeze? Perfect pictures of this magnificent bird ! I love it ! Gorgeous shots, Pat! Love the color, the detail, the expression...! 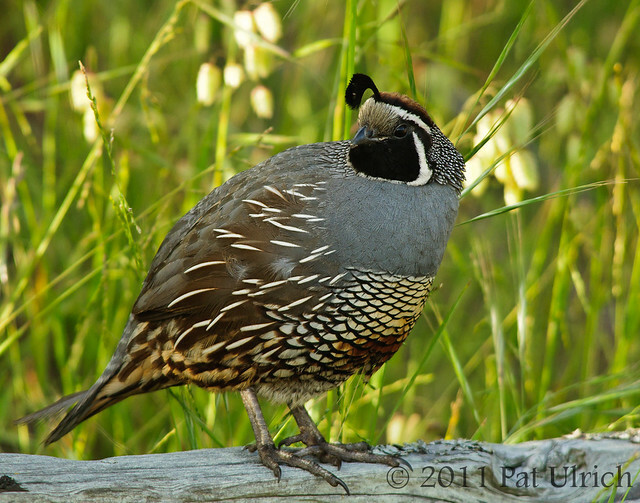 Hi there - I've seen a few shots these birds before - is it a California Quail? Thanks, Carol! I don't believe that it rattles in the breeze, but it sure looks like it should! Thanks, Stewart! 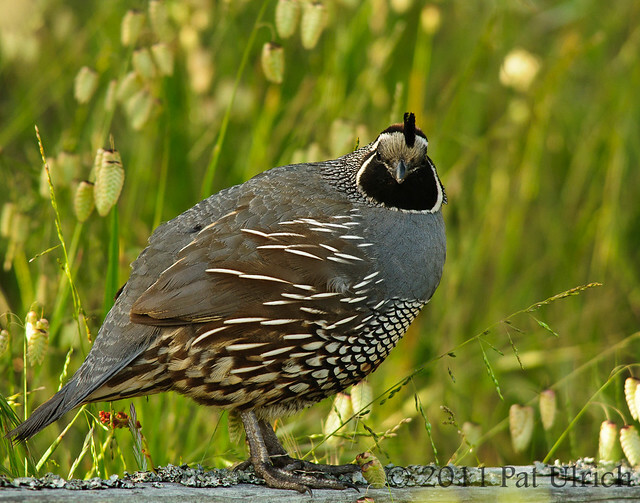 It is indeed a California quail (Callipepla californica). 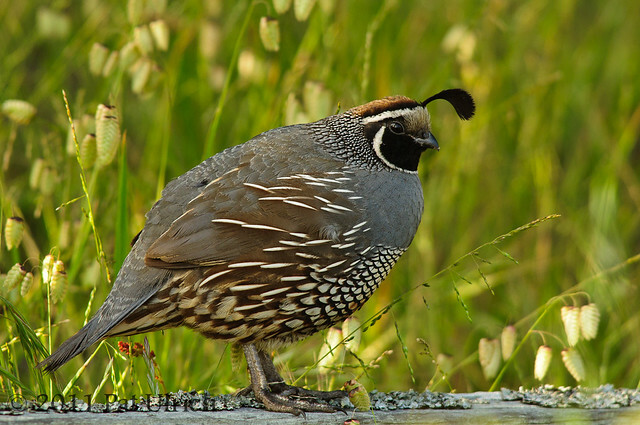 Great photos of the Quail. It has a most beautiful pattern of plumage. Fantastic shots of the Quail. It is a gorgeous bird. What a wonderful bird and great photos ! Fantastic ! In spite of that photogenic bird that you simply do not manage to take anything other than a brilliant photo of. Rattlers scare me silly, ever since we had them all over the garden in the tall grass. I know what you're saying Pat. 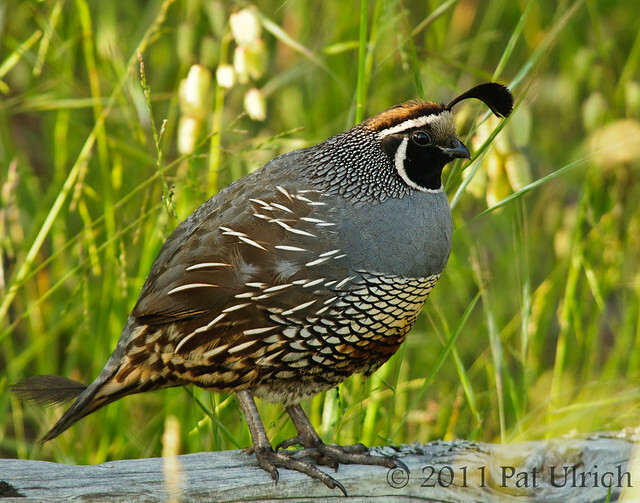 A male quail on a rail or post can save the day.